Ribeye is definitely my favorite cut of meat. 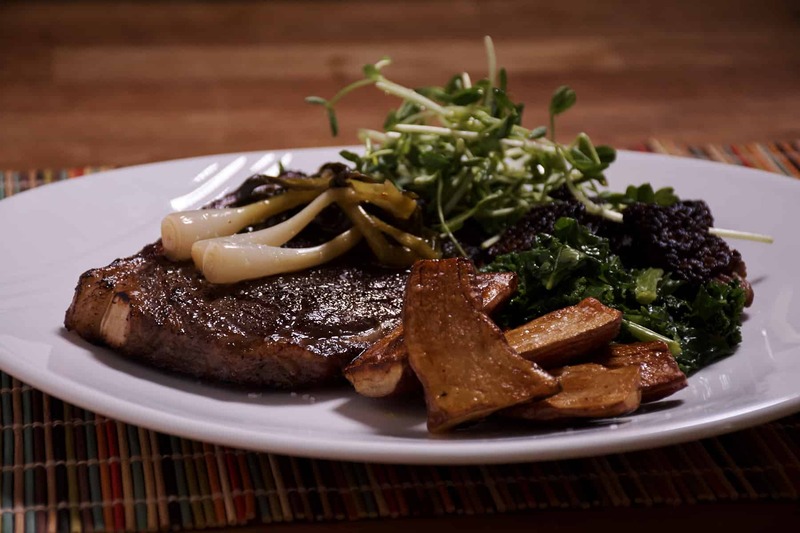 It's a fatty, flavorful and tender cut that melts in your mouth. 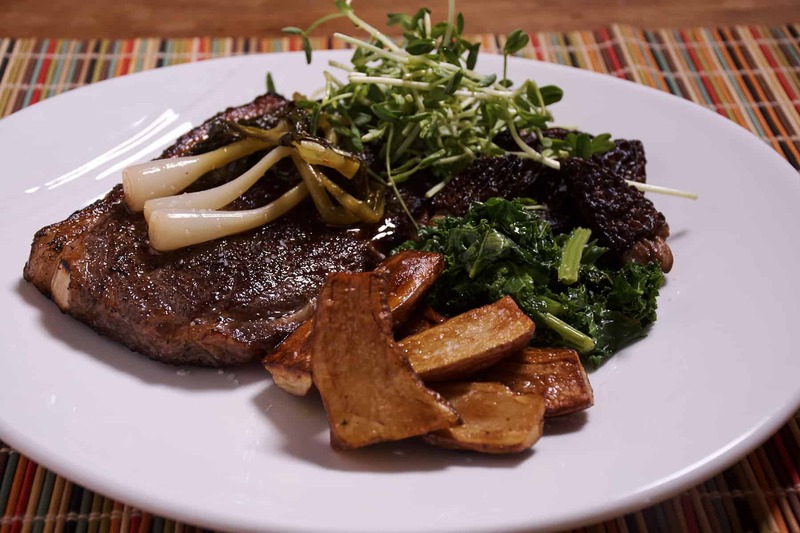 I often just grill my ribeyes (and if you prefer that method go right ahead and the pickled ramps and fingerling potatoes will still work great with it! ), but sometimes I turn to the ease of sous vide, especially for thicker steaks. I'm lucky to have several great butchers in my area, but sometimes I want to up my game and will turn to Snake River Farms, they have a wide variety of beef including Prime, American Wagyu , and dry aged. I also enjoy trying the different ranchers that Crowd Cow has available including their wagyu. I usually prepare my ribeye at 131°F (55°C) for medium rare, but you can change that temperature to be wherever you like. Ribeyes just need to be heated through, which is usually 2 to 3 hours, but you can get the specific time from my Sous Vide Timing Ruler. 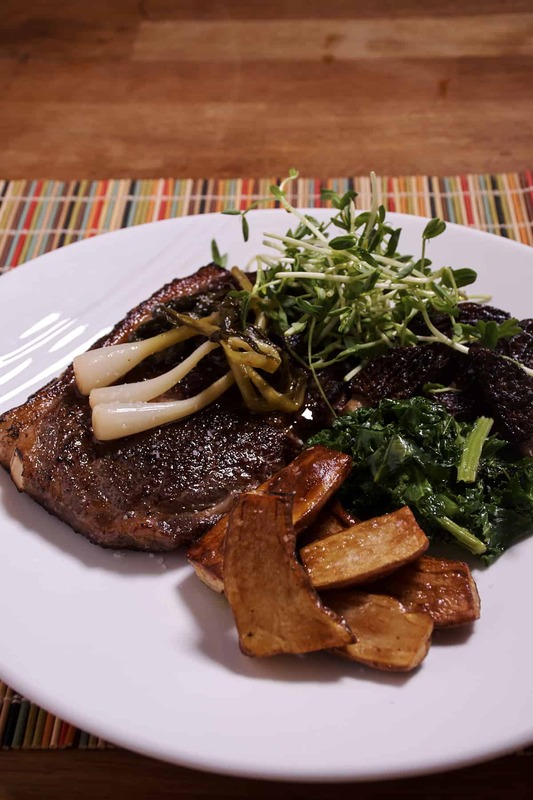 The acidity from the pickled ramps pairs wonderfully with the fatty ribeye. They are also a great way to preserve the "over too quickly" ramp season. If you can't find ramps, you can quick pickle other vegetables such as cucumbers, scallions or green beans. They will have a different flavor profile but will still be tasty! Salt and pepper the ribeye then seal in a sous vide bag. Place the sous vide bag in the water bath and cook for 2 to 4 hours, until heated through. Heat some oil in a pan over medium to medium-high heat. Add the potatoes and cook until tender, 10 to 20 minutes, stirring occasionally. Remove from the heat. Add the ramps, apple cider vinegar, water, sugar, and red pepper flakes to a pot and bring to a boil. Reduce the heat and let simmer for 5 minutes. Remove from the heat and let cool. Place heat-proof plates in an oven set on low. Take the sous vide bag out of the water bath and remove the meat from the bag. Dry it off thoroughly with a paper towel or dish cloth. Quickly sear the meat for 1 to 2 minutes per side, until just browned, then remove it from the heat. 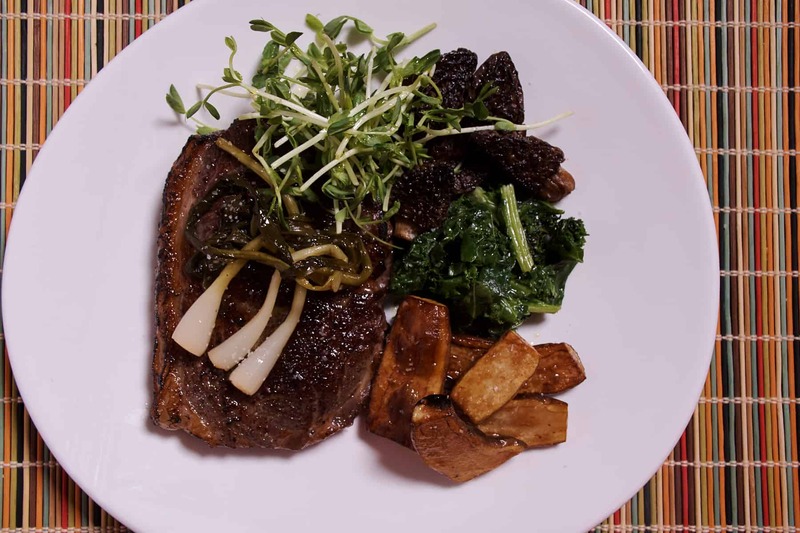 Place the bone-in ribeye on a serving platter and top with the pickled ramps. 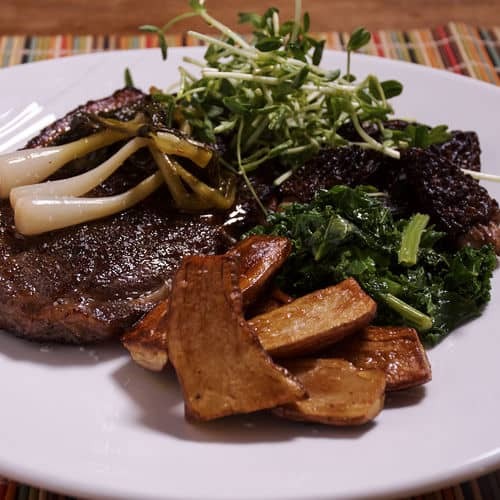 Place the fingerling potatoes around the outside of the ribeye then serve.